To help you clean your home, in this post we’ve compiled 10 autumn house cleaning tips. Surprisingly it has been suggested that rain water is good for cleaning windows, due to containing fewer contaminates than tap water – and you may have the temptation to leave the cleaning of your windows until the spring. But if you haven’t cleaned your windows in awhile, you will notice come the next autumn downpour they look dirty, with streaks appearing. Prevent this from happening, by following the advice outlined in our post “How to & How Often To Clean Your Windows” – and give your windows a thorough clean over the coming weeks. We are all guilty of storing items which we no longer have a need for, and over time such objects can begin to clutter up the home. Use the big autumn clean as the perfect time to de-clutter your home, removing all those items which have been sat collecting dust on your shelves or in your cupboards and aren’t going to be used again, along with any summer (and winter) clothes which no longer fit or you want. De-cluttering your home doesn’t mean you need to fill your bin up with unwanted goods either. 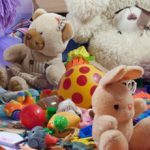 Instead donate any items which are still in good quality to a local charity shop, or consider how else you can recycle them in and around your home. When running the vacuum around the home on a weekly basis, very few of us will move the couch, wardrobe or sideboard out of the way to clean behind. A top house cleaning tip when carrying out a big clean, is to clean on top, behind and underneath your furniture. By taking the time to clean behind, underneath and on top of furniture will help to ensure all dust, dirt, debris and allergens are removed – providing you with a healthier and cleaner home. Autumn is spider season, and following the warm but damp summer we’ve experienced – which created the perfect breeding climate for house spiders – this year will be no different. But, despite the cobwebs adding to the Halloween experience it’s recommended to remove them from your home. The easiest two ways to remove cobwebs from your home is with an extendable duster, which will enable you to reach the cobwebs in the corners near your ceiling, or, by using the hose and extension tube on your vacuum cleaner. 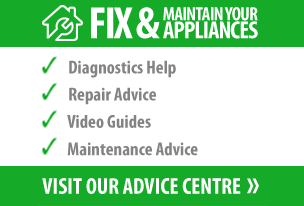 Your freezer is one of few appliances which is used on a daily basis, and to keep it working to its full potential it is important to make sure you keep on top of freezer maintenance. Key to such maintenance is to defrost your freezer – if you don’t have a self-defrosting model. If you haven’t done this for awhile or you’ve noticed a build up of ice, autumn is the perfect time to defrost it, and in our post “Why, When and How to Defrost the Freezer” we explain the best methods to quickly and efficiently defrost the freezer. Whilst changing your bedding on a weekly basis will help to keep the bed clean, you may be surprised at home much dirt can be harboured on your mattress. Along with dirt, bedbugs are becoming more common in UK households – so it is important to clean the mattress on a regular basis to kill these off. One way to clean your mattress is with a vacuum cleaner and mattress tool. But one of our top autumn cleaning tips is to use a suitable steam cleaner. Steam cleaning kills 99% of germs and bacteria, at the same time as removing dirt without the need for chemicals, and the heat produced by a steam cleaner will kill off any bedbugs and eggs which may be lingering on your mattress. In addition to using a steam cleaner on your bedding, we would also recommend using the steam cleaner to clean upholstered furniture and curtains – providing the surfaces with a deep and thorough clean. Autumn is a naturally beautiful and colourful month, as the trees change colour and the crisp leaves scatter across the pavements – bringing joy to children as they walk through them, kicking them up into the air. 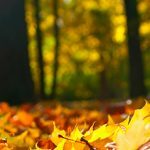 But, autumn is also a typically wet and muddy season – and this can play havoc for homeowners, as muddy footprints and paw prints are traipsed through the home. To clean muddy foot/paw prints from hard flooring – whether laminate, wood or tiles, we recommend using a steam mop as soon as possible, as this will lift and remove the dirt, leaving the area looking spotless. When it comes to removing muddy prints from carpets, it is often best to leave the mud to dry before tackling. Once the mud has dried, sprinkle bicarbonate of soda over the area and leave this for at least half-an-hour to lift out the dirt, and then vacuum as normal. Wood burners and real fires have seen somewhat of a boom in popularity over the last few years, and with the temperatures starting to fall, they will soon be put to use – providing warmth and comfort on those dark, wet nights. But, before you begin using your wood burner / real wood fire we recommend you have the chimney professionally cleaned, ensuring it’s free from any dirt, debris and bird nests. Tied in with cleaning the chimney, you should also test your smoke alarms and carbon monoxide alarms, making sure they are in full working order. Doing so will make all the difference in an emergency situation, providing you with those vital extra moments of warning and enabling you and your loved ones time to get out. With darker mornings and nights becoming a common feature of autumn, now is the perfect time to give your lights, lamp shades and lamps some extra attention. These are areas of your home which often become victims of dust, but are also overlooked when the home is being cleaned. With your lights becoming even more important over the coming months, it’s important to make sure they are cleaned and free from any dirt. In addition to providing them with a dust, for even brighter lighting in your home we would recommend switching to LED bulbs, not only will these brighten up your home but they’ll also help save you money in the long term – as outlined in “Save Money By Switching to LED Bulbs”. Introducing mats to the internal and external entrances of your home is a great way to help prevent unwanted dirt and debris from being brought into your home. 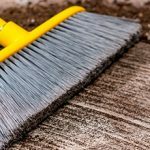 And to ensure you keep as much dirt as possible out, we recommend you use a heavy duty scraper mat on the outside of your home. Such a mat will tackle mud, grit and all manner of dirt at your door, whilst internally a mat which covers the first few steps into the home will help prevent dirt being carried further into your home, making the everyday cleaning a lot easier – and ultimately quicker. 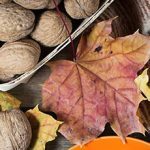 By following these 10 autumn cleaning tips, you can ensure your home will be clean leading into the winter months, making it the perfect place to unwind, relax and hibernate when the weather outside is dull, grey and wet. Do you have any more house cleaning tips for autumn? Join in the conversation by sharing them in the comment box below. And if you’ve liked the tips above, why not share them with your social media followers? Oh that spring cleaning, nightmare of ones, and time for relaxation while cleaning for others. Defrosting the freezer prolongs its life and will it makes it more energy efficient. One thing I would like to add: my secret for cleaning those tricky blinders. Use a paintbrush and wipe the dust from them, you should aim at medium soft paintbrush for the easiest dust removal. Some great tips there, thank you for sharing. Would you say the paintbrush is better at removing the dust than an extendable feather duster?